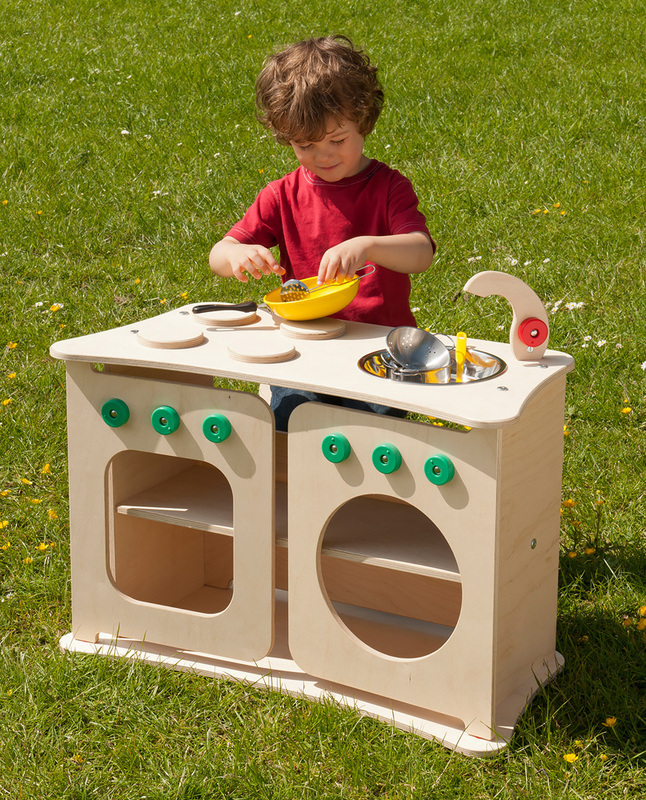 Ideal for outdoor play, the outdoor multi-kitchen is available in two sizes - large or small. 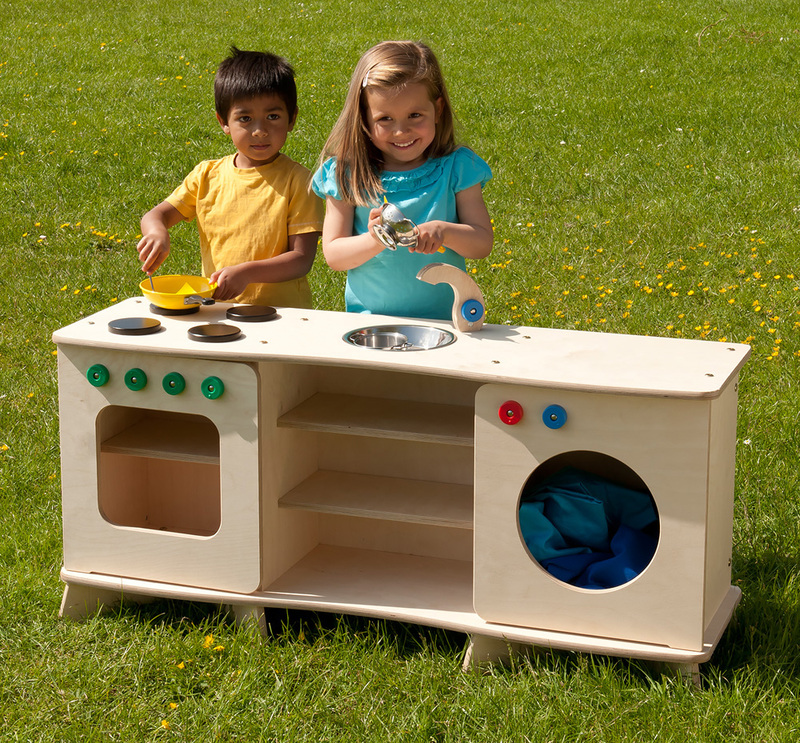 The small version includes an oven, hob top, sink and washing machine in one complete unit with one full width shelf. The large version is wider with an oven, hob, sink, washing machine, oven shelf and two shelves under the sink. 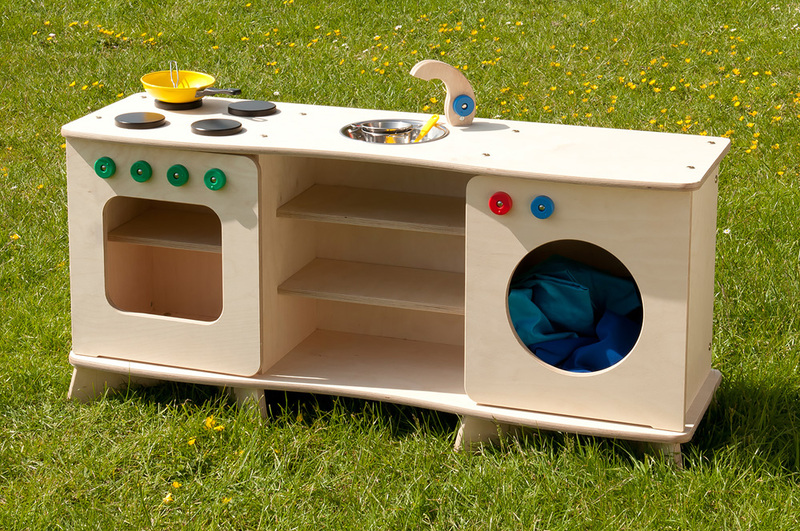 Featuring UV resistant dials and anti-finger trap doors, both sizes are fitted with a stainless steel sink bowl and wooden mixer tap. Manufactured in the UK using sustainably sourced advanced outdoor plywood with a weather resistant surface and a tough exterior seal on the edges. The outdoor multi-kitchen is designed to be left outside and no maintenance is required. 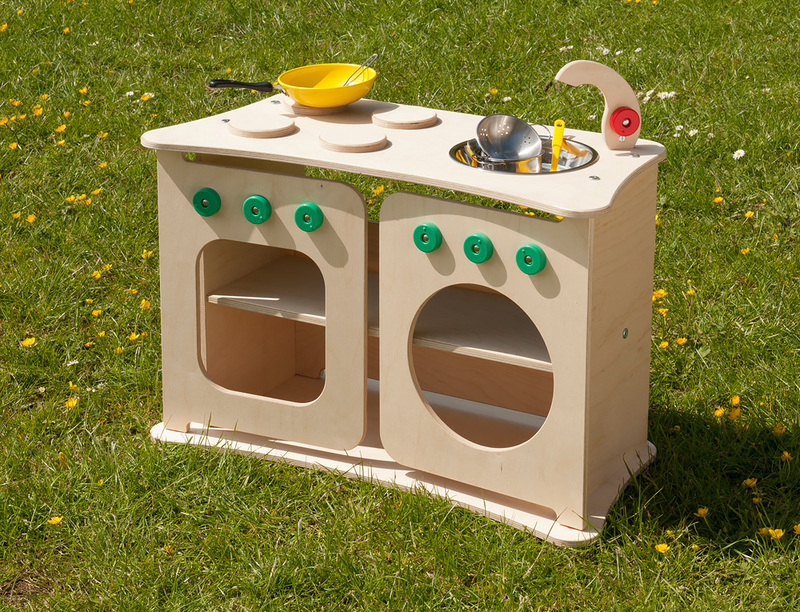 Please note: The toy pots and pans featured in the product images are not included with either of the outdoor multi-kitchen sizes. Please Contact Us or alternatively call for more details on 01733 511121.